For this post I will be focusing on showing a few advanced configurations and cool things you can do with LXC. Ill show you how to add IPs to your containers so that you can get to them outside of the host, show you a couple different ways on how to deploy new containers and show you the safest way to incorporate LXC into production use by demonstrating unprivileged containers. Correct networking parameters will allow for you to have multiple containers that are able to communicate with one another and also allow for you to ssh to them from anywhere on the same network. I would also advise to set these same configs on the containers interfaces using ifconfig or modifying the interface config files themselves. Please note that setting an IP in the config file doesn't set the IP on the containers interface. So for example if the containers interface is using dhcp but the config file contains a static IP, you will have 2 IP addresses that will actually respond to ping and ssh. You can set the static IP on one or the other or both to keep from having more than 1 IP. It is also possible to extend networking capabilities of the container to enable it to reach outside of the network that it sits on (outside of the bridge). One example of this would be to enable your container to also reach the internet. You can use iptables from the host to route requests outside of the bridge to other adapters that are available on the host based on specific IP addresses or based on whole subnets. Below, eth1 is assumed to be the adapter that is capable of talking to other networks like the internet etc. Also be sure to add IPv4 forwarding to /etc/sysctl.conf. Add following line in /etc/systctl.conf to add IPv4 forwarding followed by issuing "systctl -p" to take effect without reboot. NOTE: If using Red Hat 7/CentOS 7 you will need to check firewalld settings. I completely disabled firewalld and continued using iptables instead since I am more familiar with iptables. Another cool feature of LXC is the ability to clone individual containers as you would a virtual machine. Cloning provides the capability of faster deployments for custom configurations and I would also think it would provide a way for developers to auto scale if needed. There are 2 types of clones: Copy and Snapshots. From lxc-clone manpage: "A copy clone copies the root filessytem from the original container to the new. A snapshot filesystem uses the backing store's snapshot functionality to create a very small copy-on-write snapshot of the original container. Snapshot clones require the new container backing store to support snapshotting. Currently this includes only aufs, btrfs, lvm, overlayfs and zfs. LVM devices do not support snapshots of snapshots." For purposes of this post we will keep it simple and create a simple copy type clone. The "-o" flag defines original container name that will be cloned and the "-n" flag defines new container name. From my experience the rootfs, hostname and the mac will not duplicate but I haven't found a way to keep the IP from duplicating. So just remember if you are using a static IP that you will need to update the IP info on the new container to keep from conflicting. There is probably a way to script it but by default there is no way around it that I have found yet. Should get an output like "Created container NEW_CONTAINER as copy of fedora-master" when clone is completed. This is one of the coolest features of LXC in my opinion. Since each container is run as a process, each process (container) has the ability of being started at bootup. The LXC program can be started/run as a service (service lxc start | systemctl start lxc) and when this service is brought to life it can tell specfific containers to startup with the LXC service. This is done through passing the autostart parameter(s) to the containers config file. The autostart options support marking which containers should be auto-started and in what order and can be based on either a number or a group. See man page for lxc.container.conf for extended details. lxc.start.auto = 1 # 0 value means off. 1 value means on. Other parameters worth mentioning for autostart are the start order parameter and start delay. The start order along with the start delay can help bring up containers in a certain order and set a wait time before starting the next one. Can be helpful for multi container environments such as a database. 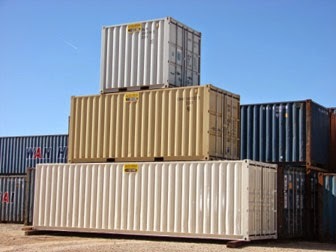 Unprivileged containers are perhaps the safest way to deploy LXC especially in a production environment. LXC gets a bad rap for being unsecure at times and has actually allowed users to gain access to the root account on the host. This is possible because although containers all run in a separate namespace, uid 0 in your container is still equal to uid 0 outside of the container. Unprivileged containers run as a non root process on the host even though they can have root inside of the container itself. So at a high level we need to remap these namespaces and ensure that these processes are not running under root's uid. A little confusing but hopefully after you see a demo it will make sense. Stephane Graber who is one of the lead developers behind LXC sums this up really well in his blog on unprivileged containers. "So how do those user namespaces work? Well, simply put, each user that’s allowed to use them on the system gets assigned a range of unused uids and gids, ideally a whole 65536 of them. You can then use those uids and gids with two standard tools called newuidmap and newgidmap which will let you map any of those uids and gids to virtual uids and gids in a user namespace." - Stephane Graber "LXC 1.0: Unprivileged Containers"
With the development of unprivileged containers we are able to allow users other than root to start an container although with unprivileged containers there are still limits on some things a user can do in namespace. I will demonstrate this on a Ubuntuxc 14.04 since my CentOS 7 box doesnt meet the prereq kernel features needed for this. The tools that we will need to configure this (newuidmap and newgidmap) require kernel verison 3.12 or higher. Let's Begin! Then assign your user subuids and subgids and give execution privileges to user home. Add the mappings as part of the container parameters in ~/.config/lxc/default. Create and start the unprivileged container. Note this will take some time to complete. So now lets compare what the processes look like from the host and from the container for this namespace. Hope you enjoyed this blog post. Next in the series will begin talking about the ever popular Docker and ease your into some really cool projects going on around it.